Students should be taxed by school. And they should have enough time to restore themselves so that they can make the most of the academic workouts that will keep coming their way. It’s not a problem for teenagers to feel stretched by all that we ask of them, and even better if they can view stress as a healthy, if often uncomfortable, sign of growth. Healthy stress is inevitable when we operate at the edge of our abilities. Growing and learning, the keys to school and much of life, can’t happen any other way, writes Lisa Damour. But the conventional wisdom is that stress does harm and so, accordingly, we should aim to reduce, prevent or avoid it. Not surprisingly, this negative slant on stress can shape parenting and also leave teenagers feeling stressed about being stressed. To reframe how we think about a phenomenon that has been roundly, and wrongly, pathologized, we should appreciate that healthy stress is inevitable when we operate at the edge of our abilities. Stretching beyond familiar limits doesn’t always feel good, but growing and learning — the keys to school and much of life — can’t happen any other way. Stress is also known to have an inoculating effect. Research shows that people who overcome difficult life circumstances go on to enjoy higher-than-average levels of resilience. In short, achieving mastery in trying situations builds emotional strength and psychological durability. How students themselves regard stress — whether they see it as positive or negative — has powerful downstream effects. 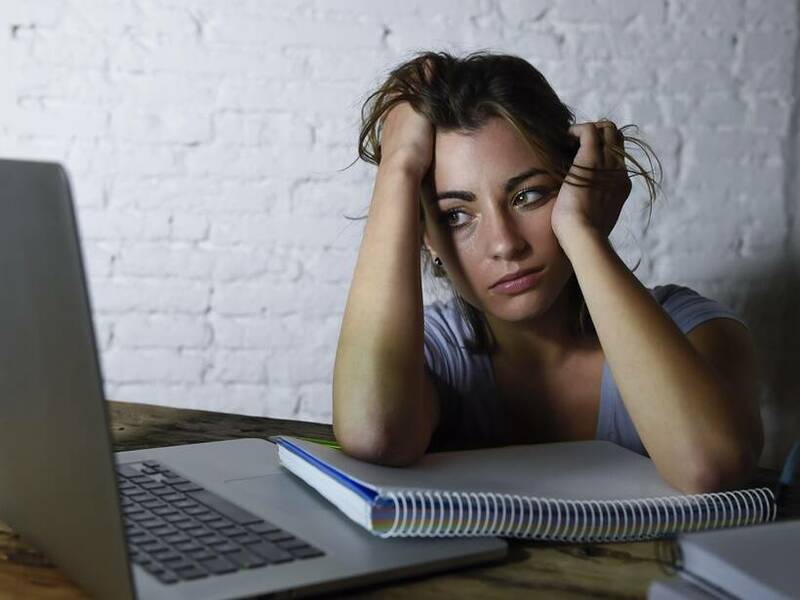 Studies find that when faced with steep intellectual tasks, individuals with a stress-is-enhancing outlook outperform those with a stress-is-debilitating one. Further, appreciating that stress is a useful human reaction actually changes how the body operates under pressure. Research participants who believed that the physical manifestations of stress (such as having a rapid heart beat) actually prepared them to address challenges went on, under demanding conditions, to release higher levels of a stress-buffering hormone and to have a more adaptive cardiovascular response than those who held a negative view of stress. Happily, studies also find that it’s not hard to convert people to the stress-is-enhancing perspective. To do this in my own work with adolescents, I liken the demands of school to a strength-training program. Everyone understands that lifting weights to the point of discomfort is the only way to build muscle; the process of developing intellectual ability, including the ability to manage the stress that comes with it, works just the same way. In talking with teenagers, I matter-of-factly point out that their teachers should be giving them hard academic workouts, because that’s what will transform them from wobbly middle-school colts into graduation-ready racehorses. To be sure, some days will be light on challenge and others will feel overwhelming. But I try to reassure students by telling them this: If, on balance, they are feeling stretched at school and asked to step up to a new level once they’ve mastered an old one, then things are going exactly as they should. Parents may feel more confident promoting a positive view of stress if they recall times in their lives when strenuous new demands — like welcoming a baby, moving to an unfamiliar city or starting a new job — came to seem increasingly manageable. New demands call for growth, and growth is invariably stressful. And schools, by design, are in the business of cultivating growth. But what if taking a positive view of stress isn’t enough to offer students the relief they need? Indeed, plenty of students now suffer from too much of what should be a good thing. Those carrying punishing course loads cannot lighten their burdens simply by appreciating the benefits of stress. Yet the problem for students with outsize academic demands is rarely that they can’t do the work. It’s that they never have time to recover. Instead of trying to vanquish academic pressure, we should turn our attention to making sure students can rebound between bouts of intense intellectual activity, just as athletes rest between hard workouts.